American burger chain Five Guys opened a new location in the heart of London Thursday. It's just a five-minute walk from a new Shake Shack restaurant, which is opening Friday. It's official. The Brits have a big, bustling burger scene. Two U.S. burger chains -- Five Guys and Shake Shack -- opened their doors in the heart of London this week as they look to take advantage of the city's voracious appetite for top-quality burgers. 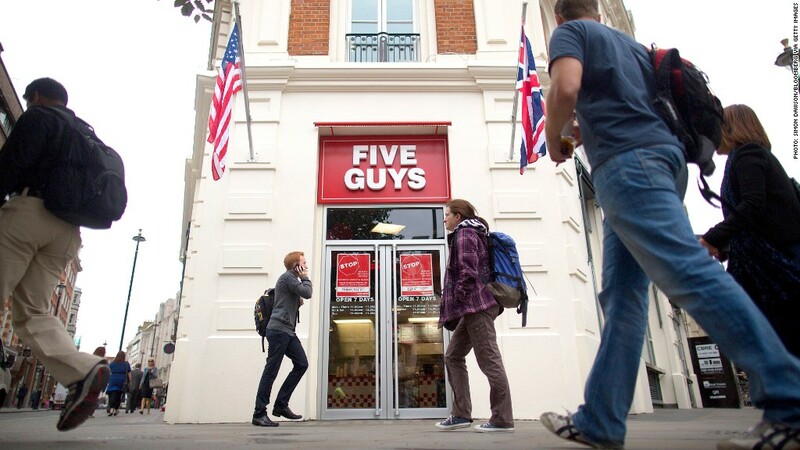 Five Guys opened its first overseas location Thursday near London's bustling Covent Garden, and visitors lined up around the block to get their hands on an all-American-style burger. A spokeswoman for Five Guys said the company decided to come to London because of rising demand, noting that the burger chain had a huge number of British fans on Facebook (FB) and Twitter before setting foot in the U.K.
"There's a growing better-burger market here in London. It's just a few years behind the U.S.," she said. 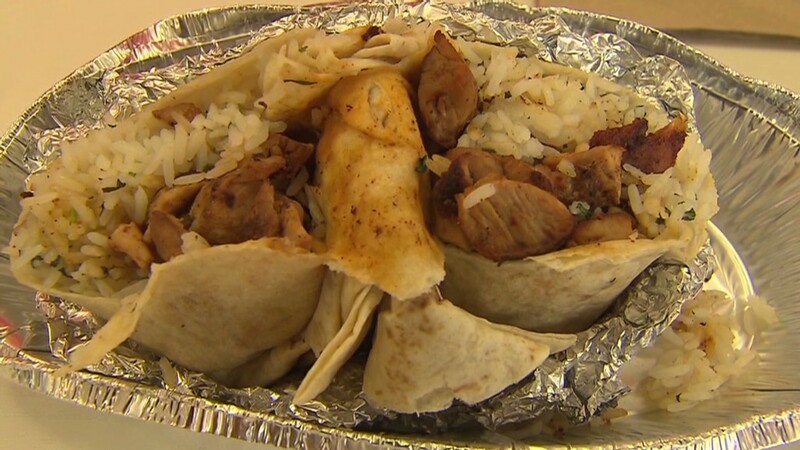 The company clearly has faith that customers will be clamoring for the food as it has invested in a location that can fit up to 300 people. Five Guys has plans to open four more locations across the U.K. before the end of the year, said John Gildersleeve, one of the partners in a joint venture that is leading the company's British expansion. From there, 100 more restaurants could follow, he said. Just down the street from Five Guys is Shake Shack, which opens Friday and has seating for roughly 120 people. "We've had our eye on London for a long time," said Shake Shack's culinary director Mark Rosati. The two U.S. chains are coming into a market already filled with high-quality burger offerings from home-grown firms such as Gourmet Burger Kitchen and Byron. But it seems demand still outstrips supply. Burger fanatics will regularly wait for over an hour to get a seat at a few key popular burger joints in the city. There's even a Burgerapp to help hungry Londoners hunt down the best grub in the city, offering ratings, reviews and information on restaurant locations. The buzz for burgers has been building in London for over a decade and is reminiscent of the cupcake craze that started in the U.S. a few years ago but fizzled out in recent months. The burger chains are clearly hoping business will keep booming and they'll avoid a burger bust.